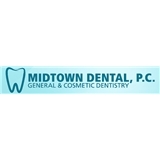 Midtown Dental, PC (New York) - Book Appointment Online! The doctors of Midtown Dental combine advanced treatment with the latest technology, highest standards and professionalism. They pride themselves on having very high standards and they aspire to provide each patient with superb dental care, comprehensive oral health, and a beautiful smile. I love going and see my dentist/ staff, they are so welcoming to be around, great great great!! !